Home prices in the San Diego metropolitan area rose nearly a full percentage point in June and are up 7.1 percent over the past year, according to the widely followed Case-Shiller index. 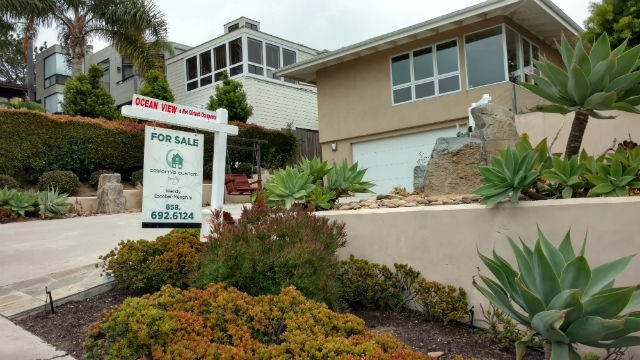 The S&P CoreLogic Case-Shiller U.S. National Home Price Index released Tuesday showed a 0.9 percent increase for San Diego in June, down slightly from the 1 percent recorded in May, but equal to the national average for the month. Dallas with a 7.7 percent. The national average was 5.8 percent. Despite the overall rise in home prices, some markets, notably Las Vegas, have still not fully recovered from the Great Recession. “Nationwide, less than half — 48 percent — of all individual homes are worth more today than they were prior to the recession,” said the real estate service firm Zillow. “As the market overall continues to heal, it’s critical to remember that the scars of the recession remain all-too real and raw for millions of U.S. homeowners and in dozens of communities nationwide,” said Zillow Chief Economist Dr. Svenja Gudell.